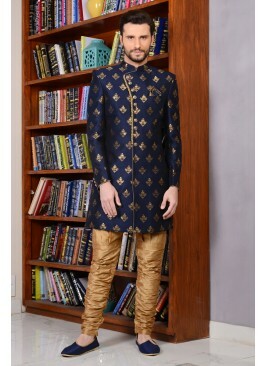 Royal pattern celebrity style black designer indo western sherwani. 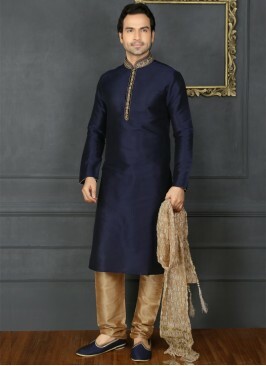 Classy work of blooming jari, resham embroidery, jardozy, beads, diamonds, cutdana work on stylish collar along with button and all over rich ethnic texture be the center of all attention on your wedding day. 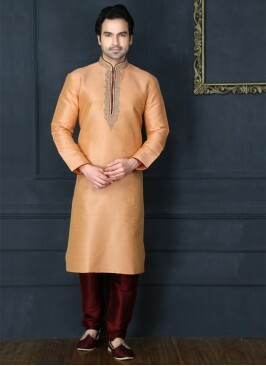 Comes with beige color churidar is giving a bloom to it. 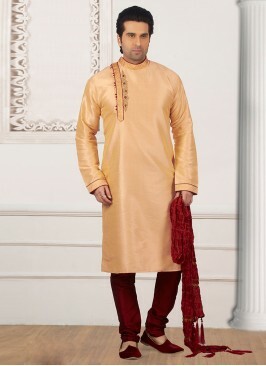 After all your desires have been fulfilled. 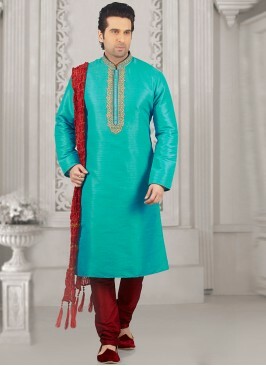 Wedding Wear Fancy Kurta ..
Teal Blue Art Banarasi Si..